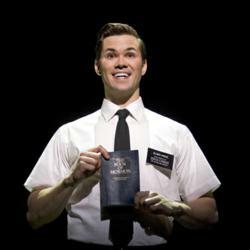 On Friday, December 23rd, nationally renowned theater website TheaterMania.com published their list of best shows of the year, including "The Book of Mormon", "Follies", "Other Desert Cities", and "Once". “2011 provided a wealth of excellent shows on Broadway, Off-Broadway and Off-Off-Broadway,” says Lipton, the site’s Editor-in-Chief. The full list includes (in alphabetical order): "Bengal Tiger at the Baghdad Zoo", "Blood and Gifts", "The Book of Mormon", "Follies", "Jerusalem", "Misterman", "The Motherf**ker With the Hat", "The Normal Heart", "Other Desert Cities", and "Once". Visit http://www.theatermania.com to read the entire story and find out what's coming to Broadway in 2012. TheaterMania.com editors Brian Scott Lipton, Dan Bacalzo, Andy Propst, and chief critic David Finkle have announced their top 10 choices for the Best New York Theater for 2011. The selections were chosen from over 250 shows seen by these experts over the past 12 months. For more up-to-the-minute theater news, show listings, video, features, reviews of Broadway Shows, and tickets, visit .